ADARSA MITRA MANDALI is located in Andhra Pradesh . ADARSA MITRA MANDALI is registered as a Society at Prakassam District of state Andhra Pradesh with Ngo unique registration ID 'AP/2009/0013028' . 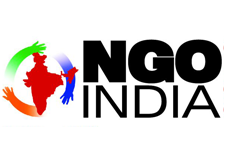 The NGO registration is done by Registrar of Societies with registration number 704/1994 on the date of 28-12-1994, Its parent ORganaisation is PaulFoundation. The Chairman of ADARSA MITRA MANDALI is Janardhana rao and Chief functionary officer is B sivannarayana. our organization conducted environment awwareness programme in variuos villages in Inkollu Mandal, in Prakasam District. we have conductee survey for women and child labour and campaigned for thier rights and skill development. the mitra mandal was conducting day care centres at Inkollu Mandal, in Prakasam District and benefitted 30 widow and aged persons. we have distributed medicines and clothes to the disabled people in the area and also conducted training programme for their skill development. we are forming women SHG in the area. we are also engaged in HIV related awareness programmes . also we are workign for SC ST welfare through varius welfare activities. we have conducted computer training programmes in the area benefiting 300 persons.